Grab your wellies! The spirit of the summer festival is hitting the Cutting Club. 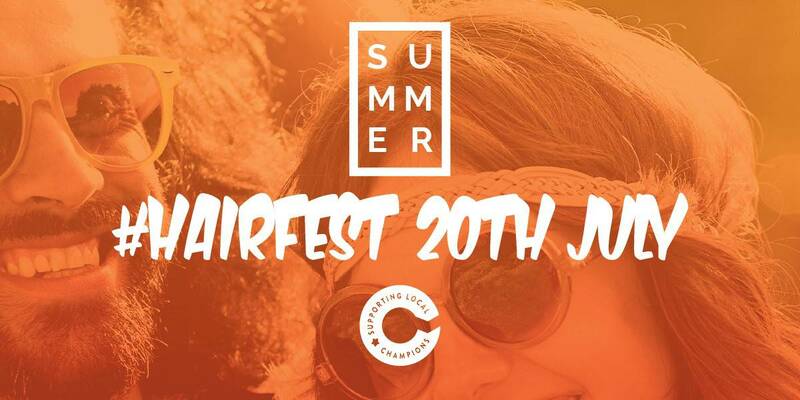 The team are excited to announce our summer charity event ‘Hair Fest’. In aid of local charity ‘Supporting Local Champions’, we’re getting into the festival mood with a special fundraiser. We’ll be partying the night away with our partners Schwarzkopf, creating festival ready styles for you to rock and to complete the look, there’ll be make-up sessions from the talented Kimberley McCue, of Weave & Wink. ‘Supporting Local Champions’ support talented local sports people through sponsorship and fundraising events enabling them to achieve their sporting dreams and raise the profile of these talented men, women and children.